The original A3 was and is a class act – all subtle styling and handsome cabin, but is it worth the extra you’ll pay over a (mechanically identical) Volkswagen Golf? 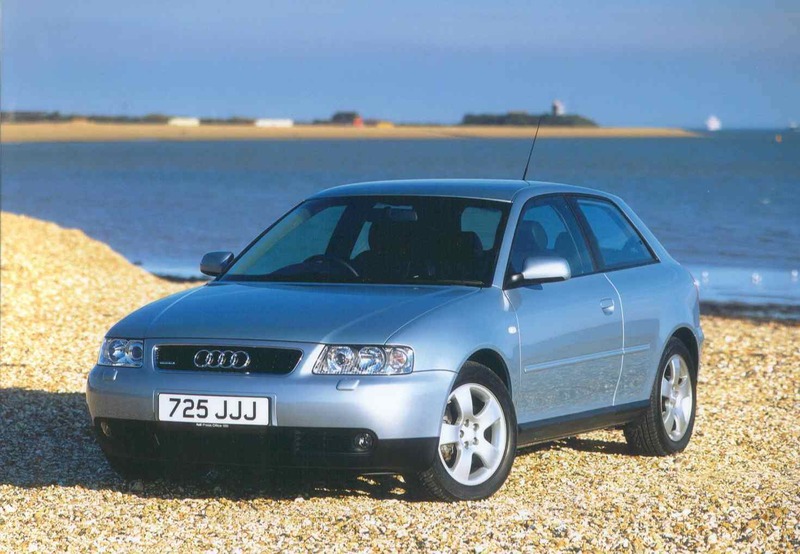 The A3 was part of an outright manufacturing revolution when it was introduced in 1996. Quite apart from being the first small, relatively affordable Audi since the little-heralded Audi 50 of the 1970s, the A3 was also part of the sea-change that brought Volkswagen Group to the peak of the motoring world. It was all about platform sharing. By using the same set of basic mechanical bits, Volkswagen realised that it could offer distinctly styled and different cars (the A3, the Volkswagen Golf MkIV, the Volkswagen Bora, the first Skoda Octavia and the SEAT Leon and Toledo) for a relatively affordable price. The Skoda, obviously, was the most affordable while the A3 stretched those components to the logical limit of their price. The thing with the A3, as with most Audis, is the sheer breadth of what you can buy. You can get a lowest-of-the-low 1.6 petrol, with barely any equipment worth speaking of and an engine that would struggle to pull your socks off, yet if you clean and polish it, it will still look just as classy as any brand new Audi. It’s the power of careful design evolution, that. Then again, you could track down one of the rare (and three-door only) 225hp S3 hatchbacks, with quattro four-wheel drive and enough grunt to give some Porsches a hard time, and yet few would guess, from the outside, that it was anything other than a sensible German hatchback. In between are probably the best of the A3s. All models were three-door-only until 1999, so for practicality’s sake, it’s probably best to go for a post ’99 car. The eight-valve 1.6 engine is the one you'll most commonly find, but as we’ve already pointed out, it’s not the most powerful of powerplants. The 1.8-litre 20-valve engine is a bit more exciting, but they suffer from timing belt and water pump issues, so it’s not the most reliable of Audis. Best job then is to track down a good old 1.9-litre ‘Pump Düse’ diesel. Not the quietest engine in the world, but economical, ruggedly built and with a good kick of mid-range torque. It's worth remembering that the youngest of these Mk1 A3s are now at least a dozen years old, so many will have fallen into the hands of owners who skimp on maintenance and care. Beware, as when an A3 isn’t looked after, trouble isn’t far behind. Air flow sensors in the engines can fail, with makes the engine rev unpredictably, while the diesel can suffer catalytic convertor failures. Squealing or juddering brakes mean the discs are worn and need replacing too. Early cars can develop steering rack problems, so check for play or inconsistent feel. If a diesel model won’t rev or feels sluggish, it’s probably an engine ECU problem. Track down a 2000-or-so 1.9 TDI Sport model that someone’s looked after carefully. Figure on spending around €4,000 for a really good one, but you can pick up a ragged A3 for under €1,000 if you’re willing to take some risks. It’s not just that the original A3 was part of the car-making coup that saved Volkswagen, it’s also that it really kicked off the current fad for stylish, but relatively simple, posh hatchbacks. Without the A3 there’d be no Mercedes A-Class, no BMW 1 Series, no Alfa Giulietta and so on. It’s a ground-breaking, trend setting car that can now be picked up for peanuts. Shop carefully and a good one should still look classy and last for years yet.